Happy Spring to everyone in the Northern hemisphere! March 20th was the spring equinox this year, which is the Baha’i New Year, the Persian New Year, and a time of celebration and remembrance in many cultures. Springtime in general is a time of celebration in many religions and cultures. Easter, of course, is one of the most well known, with Easter eggs being a well known symbol. Here is an interesting history story about Easter Eggs. Decorated eggs have been used for so long that the oldest one known is 60,000 years old!! Wow!!! Paper quilling, on the other hand, is only a few hundred years old. I have no idea when the first paper quilling egg was made, but it would be pretty cool to find out! Today I am sharing a few of the awesome 3D paper quilled eggs that I have found. Make sure to click the links to see more photos, as some of the artists have photos of the many other eggs they have made and they are all so awesome! Several of the links have in progress photos or even full tutorials There are a few different methods used to make the egg shape. I think the easiest is using a styrofoam egg for the base, as you can easily poke holes into them. Find styrofoam eggs here on Amazon or at your local craft shop. This joyful looking egg was made by Jana and can be found here on her blog. She shows it in parts so you can kind of see how to make one for yourself! This pretty egg was made by Baukje from Netherlands. You can see more of her eggs if you click here. You can visit her quilling blog here which has more eggs, and other designs as well. This gorgeous egg was made by Inna’s Creations. It is special indeed! It opens and closes and has a surprise in the middle. Click here to learn all about it on her blog! I love the colors on these eggs! Click here to view this egg, or here for more amazing pieces from the same artist. I love these colors! This is a sampling of the awesome work done by this artist. Click here to view her gallery with more work. Making a quilled egg doesn’t mean you have to stick to a traditional finished egg design, as you can see from this truly amazing piece! A quilled egg has been used as the base of a merry-go-round carriage! WOW! This was made by Akadela and you can see more amazing designs here on her facebook page. You don’t have to use a lot of different colors to create a stunning result. Sometimes just one color is gorgeous as well! These lace eggs were made by Oksana. You can view the design here as well as step by step photos on how it was created. Very helpful if you want to make one as well! Here is another gorgeous lace egg, and this one comes with a very detailed photo tutorial! Click here to check it out! Here is a neat egg using different shapes than others I have seen. Click here to see more photos! Here is another unique design! This was created by Saphir, the same artist as the lace tutorial egg above. Click here to view it in more detail and in more color combinations! This beauty was made by Ada and you can click here to view some in progress photos. You can follow her here on facebook as well. Here is another example that shows that eggs don’t have to be just for Easter or look just like eggs. This amazing penguin was made by Inna from Inna’s Creations. Click here to view more pics including a surprise inside! I like the color combination in this one! Maria O. has designed quite a few quilling eggs. Click on the photos on her facebook page to see them all. She even has some in progress pics of making eggs using the beehive technique! This bubble style quilled egg looks so cool! Click here to view a gallery full of them! This was made by Agnieszka Fornagiel. 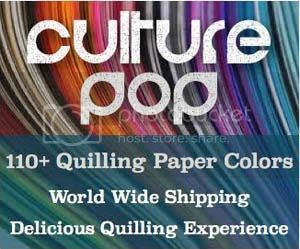 Looking for some nice bright spring colors for your paper quilling projects? Here is a collection of spring colors from Erin of Little Circles! Get this collection here on Amazon or another bright set in her online shop. I hope you enjoyed this roundup of 3D paper quilled eggs! Which one is your favorite? Have you ever made one? If you have, feel free to post a link in the comments! *There are a couple affiliate links in the post (and many non affiliate links). I only post to products that I love, believe in, or use myself. Thank you for supporting my blog! 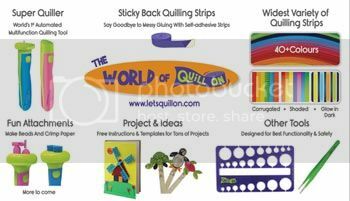 Quillspiration – A Roundup of 12 Halloween Paper Quilling Designs – Some With Tutorials!